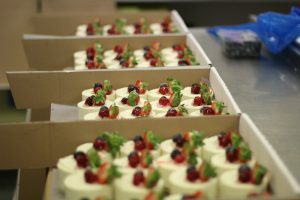 We are a small patisserie based in Devon, specialising in the manufacture of high quality desserts for the catering trade. 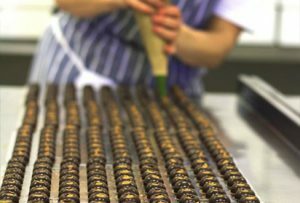 All our products are hand made to order in our patisserie’s purpose built kitchens, then delivered fresh to your establishment. 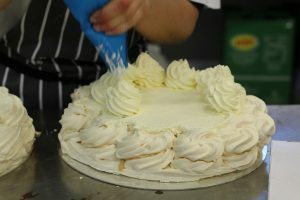 We only use the finest ingredients available to us and add no artificial additives whatsoever. 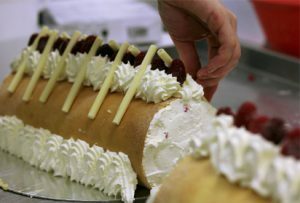 With our head chef, Philip, born and living in Switzerland for a number of years, we fully understand the meaning of the words quality and good value. We therefore pride ourselves in offering a very comprehensive menu, which we feel sure you will find unbeatable value for money. For over thirty years we have built up a reputation for friendliness, creativity and good business practices. Our business ensures high standards of hygiene at all times – as you would expect. 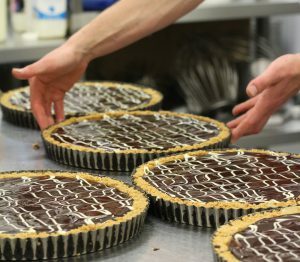 To make an order simply ring our Devon patisserie on 01884 33615 and find out when we deliver in your area. Due to the ever increasing cost of fuel and to reduce our impact on the environment, we would be grateful for minimum orders of any three items. Terms are cash on delivery, unless we have agreed credit facilities. Payments of accounts must reach us no later than 14 days from the date on the statement. If you have any queries regarding this, please contact us.